San Bernardino County is the largest county by area in the contiguous United States, covering over 20,000 square miles. San Bernardino County stretching from the cities east of LA (like Ontario, Rancho Cucamonga, and San Bernardino) all the way to the borders of Arizona and Nevada. A good piece of the California desert lies within San Bernardino County, including Mojave National Preserve. These trail are not listed in the SoCal section of hikespeak.com and can be found with the other hikes in the California desert. The San Bernardino Mountains are the grandest mountain range in the county, including the highest point in Southern California, the 11,500-foot summit of San Gorgonio Mountain. San Bernardino National Forest is the principal parkland preserving the San Bernardino Mountains, protecting over one thousand square miles in San Bernardino and Riverside counties. A National Forest Adventure Pass is required to visit some trails beginning within San Bernardino National Forest. The pass can be purchased for $5 per day or $30 per year. The pass is valid at other national forests in Southern California as well, like San Gabriel Mountains National Monument and Angeles National Forest in the San Gabriel Mountains. Passes may be purchased from ranger stations within the park, at various local retailers, and online. Those without a pass may still enjoy several free entry points that are located outside the national forest boundary. An “America the Beautiful” National Parks and Federal Recreational Lands Pass can also be used in lieu of an Adventure Pass. 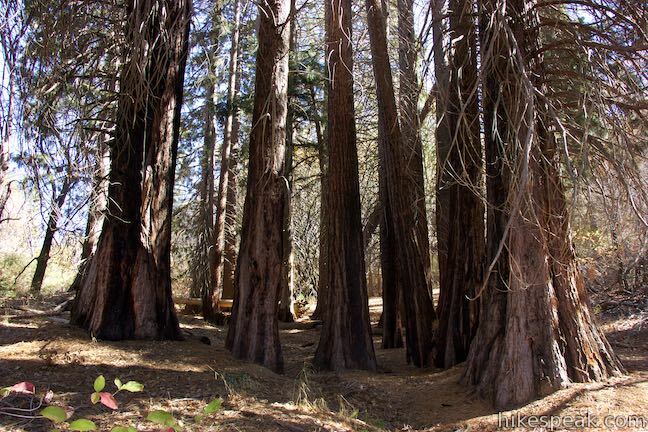 Take a short hike on Sequoia Trail and Footprint Trail to learn about the plants, animals, and natural history of the San Bernardino Mountains. This 1 to 1.4-mile round trip hike follows a mountain stream to an overlook of an amazing heart-shaped formation in the rock wall along Seeley Creek Falls. This 3.25-mile round trip hike reaches a panoramic summit above the foothills of the San Bernardino Mountains. 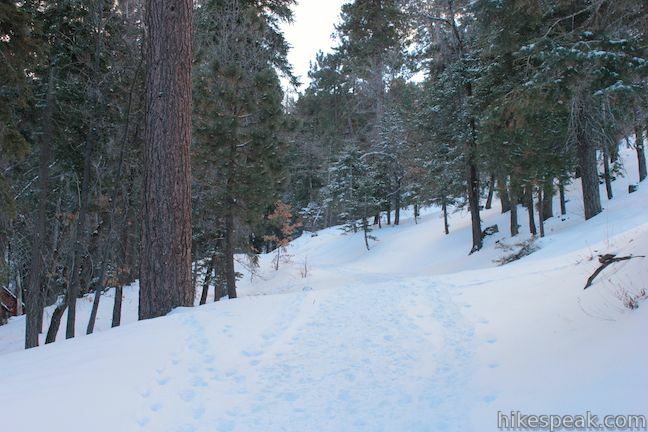 This 2 2/3-mile round trip hike takes a gradual course across the mountains on the south side of Big Bear Lake. Pay a visit to Kwaay Paay Peak for an efficient workout that's rewarded with panoramic views. The 2.5-mile round trip hike to the 1,194-foot summit climbs 885 feet, with steep stretches that will have your heart pumping. The summit is just ten miles from downtown San Diego, within the 6,800 acres of Mission Trails Regional Park, so you'll see beautiful natural landscapes and cityscapes on... Read more. 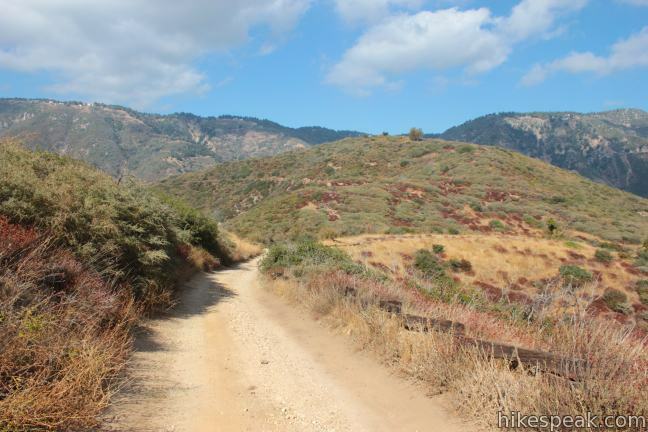 Monserate Mountain offers a workout of a hike, beginning just off Interstate 15 in the Northern San Diego County city of Fallbrook, just ten miles south of Temecula in Riverside County. There is 1,200 vertical feet between the trailhead at the base of Monserate Mountain and the panoramic summit at the top, tackled on a 1 2/3-mile ascent. You can turn around at the top for a 3 1/3-mile... Read more. You would not expect to find a Whitewater River in the vicinity of Palm Springs, but this surprising river is vital for the fertility of the Coachella Valley, bringing wonderful water from the San Bernardino Mountains to the desert below where it empties into the Salton Sea. 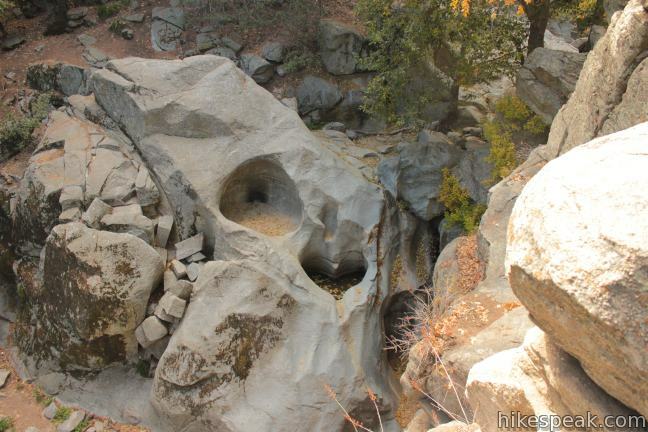 Journeyman hikers can pass through Whitewater Preserve on the Pacific Crest Trail and day hikers can get in on the... Read more.